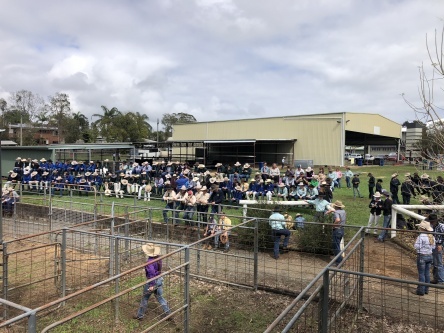 Two hundred and seventy high school students and staff, along with almost one hundred head of cattle descended upon the Gympie showgrounds last week to compete in the Gympie District Beef Liaison Group Wide Bay Inter-School Hoof and Hook Competition. 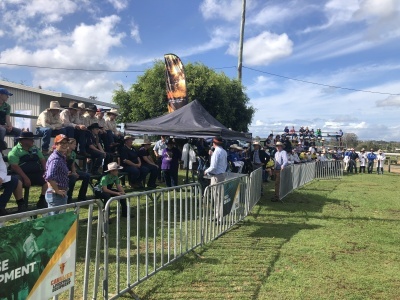 Representing schools from as far south as Kilcoy, as far west as Kingaroy and as far north as Monto, this competition has been a part of the yearly calendar of events for over 2 decades. 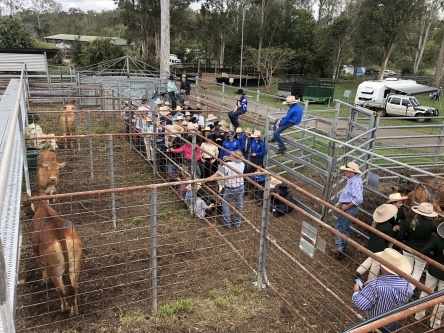 Each year, students and their teachers select, train, feed and prepare steers for the competition. 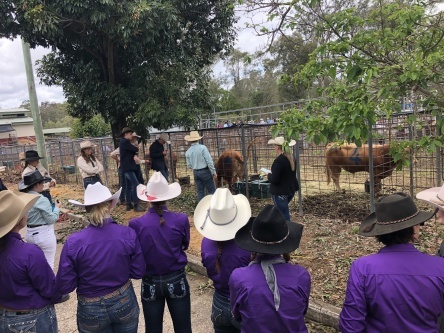 The first day of competition saw students put on gumboots and get busy washing the dust off their cattle and then getting dressed up for the Handler’s competition. Day 2 was hectic with more Handler classes and Led Steer Judging, followed by a rotation of workshops and lectures. 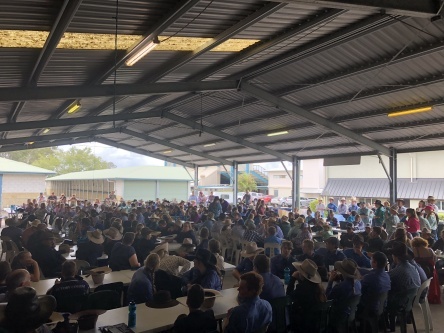 Students were treated to a variety of guest speakers, who provided highly informative and inspiring sessions for students keen to take on careers in agriculture. The day concluded with the much-anticipated and hotly contested “Bush Olympics”. There was a lot rivalry between teams, made up of a mixture of students from all the schools attending. 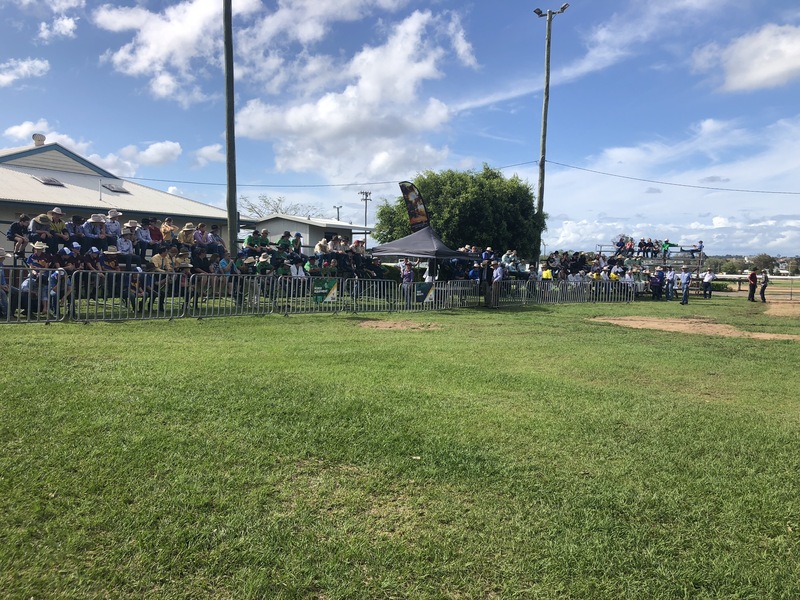 Activities included the “tractor-pull”, “hay-stacking”, “ute push”, “wheel-barrow egg and spoon race” and “apple-bobbing in molasses” and the “dress-up bending” among others….Prizes included masses of chocolate, all of which was quickly devoured by the winners. 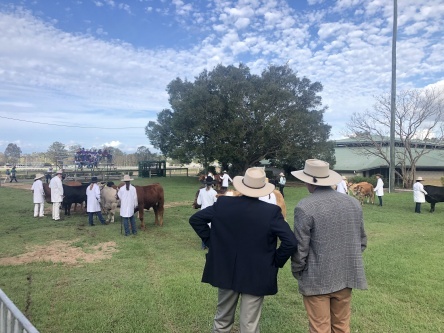 The Junior Judging Competition was the highlight of day 3 and involved judging a variety of cattle, all destined for different retail markets or breeding purposes. 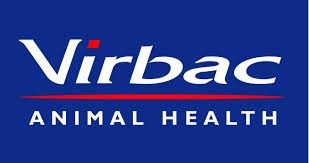 Judges, spectators and processors all agreed that the quality of the steers presented at the competition was outstanding, as the on-hook results confirmed. 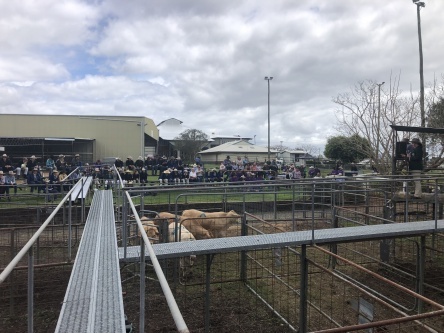 This year, Gympie SHS were the proud hosts of the competition and worked together with Kilcoy and Noosa District SHS’s and Victory College to organise and present a busy schedule of lectures, cattle handling competitions and cattle judging competitions. As with any large community event, the success of this year’s WBIH&H was guaranteed when a number of community organisations, businesses and individuals pledged their support. Participants preparing to enter the ring. 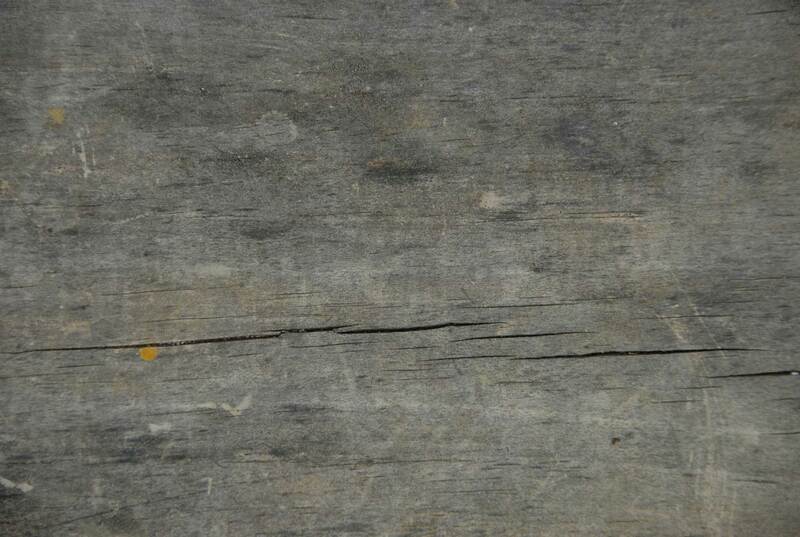 All 270 participants at the event.